Probably the coolest shipment of beer ever! I wondered what the hell was going on when I had to bend at the knees to pick up the box. Open ‘er up and what do I see? 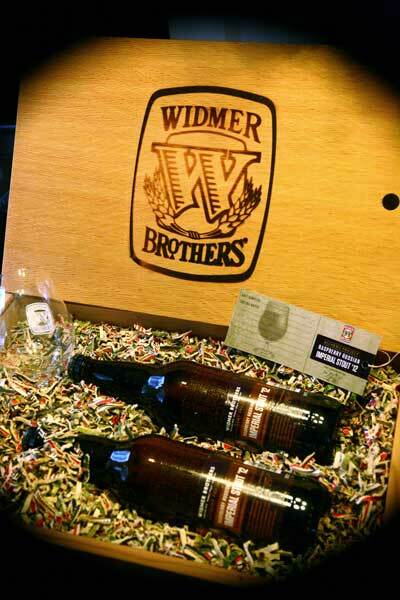 A wood box, real wood, real cool… the Widmer Brothers logo literally burned into it. You could almost still smell the faint hint of smoke. 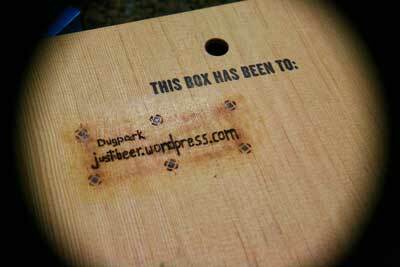 Pulling open the box, I am greeted with two bottles, one glass, and one tag (pictures below and with lid). 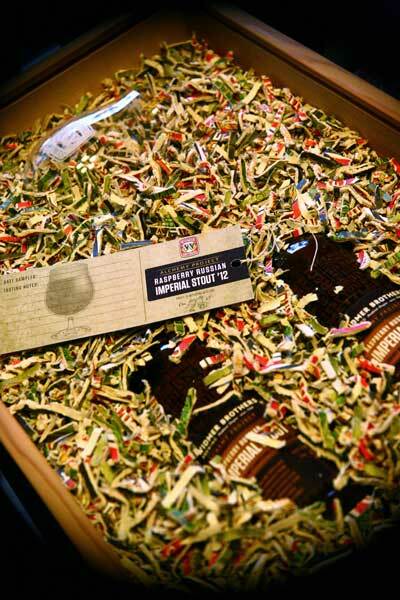 The tag, you see, is for taking initial tasting notes and cellaring it for at least a year from now. I will be doing just that. On to the tasting. As you can see from the picture, it pours super dark with a nice tan head. Just as a nice imperial stout should look… slightly viscous but not too much. The first notable characteristic of this beer, though is the nose. If poured cold, you still really get a sense of the chocolate malt and midnight wheat. As the beer warms up, though, the raspberry starts to kick in. The nose is absolutely amazing. I could smell it all day. The body is nice and chocolaty with raspberry in the front and middle. The wheat and barley give it a really creamy mouthfeel, though, so it isn’t sharp but soothing. As the beer warms up, it becomes more pronounced and better… the finish, which is a little short in the cold end gets more complex with the heat. We really recommend drinking this around 50° F. You might want to taste it cold, which isn’t bad, but enjoy it on the warmer side. Get some if you can! 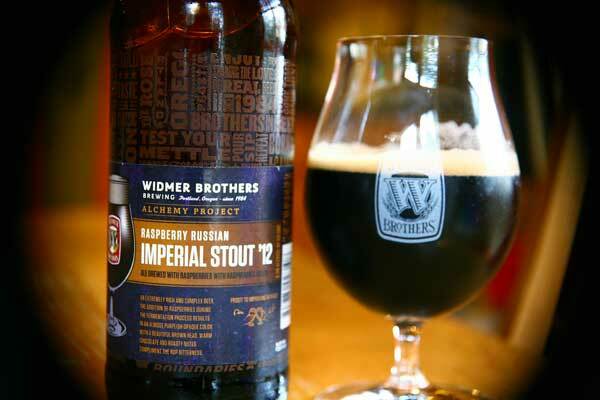 This entry was posted in Stout, Widmer Brothers and tagged ABV 9.3%, Imperial Stout, Raspberry, Widmer Brothers. Bookmark the permalink.